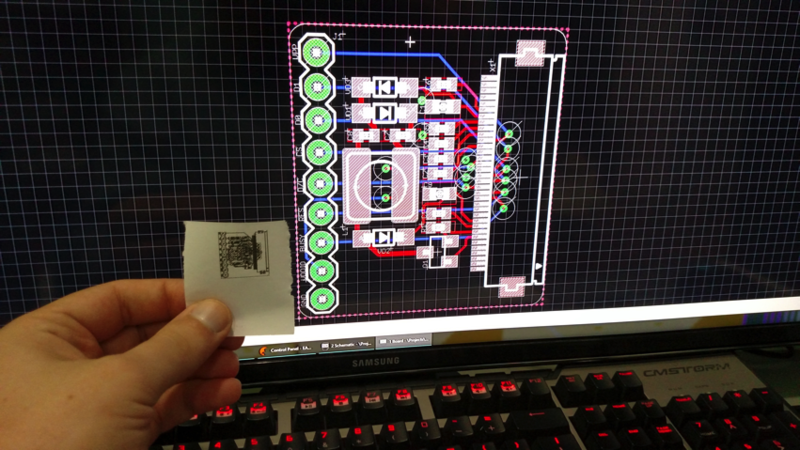 Wireless Networked Thermal Printer w/ Rasp-Pi Zero #piday #raspberrypi @Raspberry_Pi « Adafruit Industries – Makers, hackers, artists, designers and engineers! I realized that I may have found an excellent use for my Raspberry Pi Zero. I purchased the Mini Thermal Printer and followed the tutorial to set up the Raspberry Pi side with no problems. Then I cut a small section of the case out to make room for the micro-usb slot through which to connect the USB->Wifi dongle using a tiny adapter from Adafruit. Some electrical tape was placed over the printer circuitry to protect from accidental shorts and some double-stick tape on top of that was used to mount the Pi. I then drilled a 15/32″ hole in an appropriate place on the box. It took a bit of wiggling and careful wire routing to make the printer case snap back shut, but it came together well in the end. 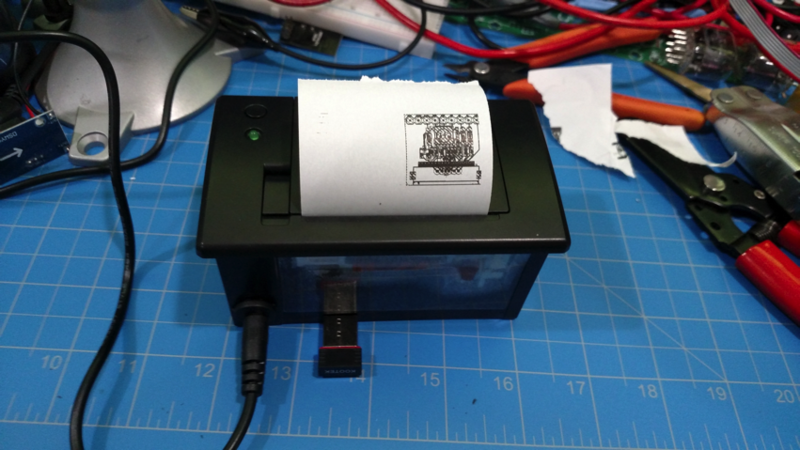 Mini Thermal Receipt Printer Starter Pack: Hit the ground running (and printing!) 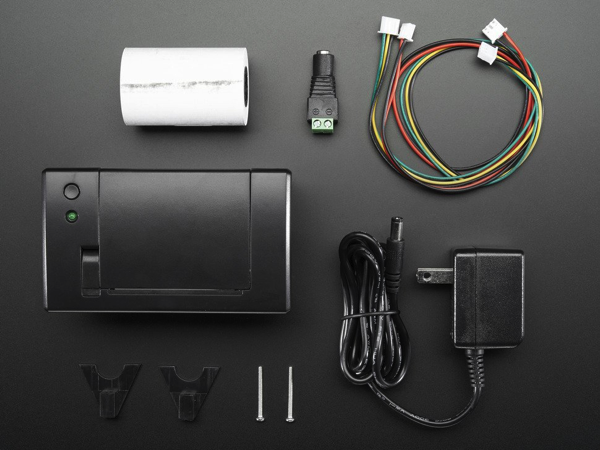 with this starter pack that includes a thermal printer and all the extras and save a few dollars while you’re at it. Read more. Tiny OTG Adapter – USB Micro to USB: This super slim, super tiny, and super cute Micro-B to USB on-the-go adapter is so slim, tiny, and cute that we’d pinch its cheeks if it was big enough to have cheeks. 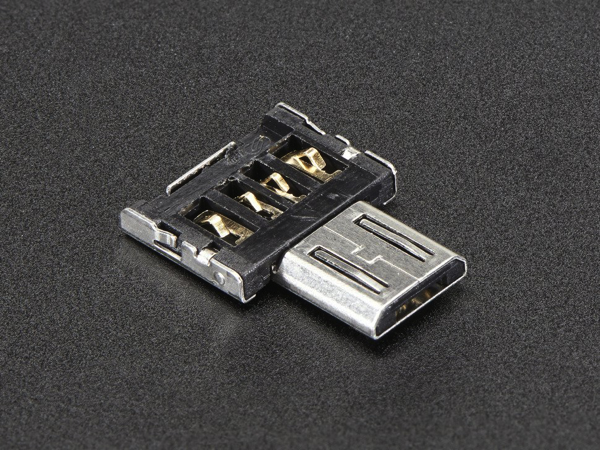 At just ~15.5mm long, ~11.3mm wide, and ~2mm, this really is the tiniest little adapter we’ve probably ever seen. Read more.